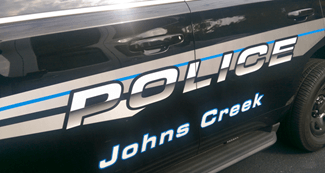 Being arrested in Johns Creek and taken to jail for a misdemeanor crime, making bond, and being photographed and fingerprinted are stressful, humiliating and life-altering experiences. Eating, sleeping and acting normal are no longer easy to do. Right now, you have more questions than answers, and you cannot merely hire an average Johns Creek DUI lawyer, or a good DUI attorney. It has to be the best lawyer from an Atlanta DUI law firm with proven, experienced, and successful drunk driving defense attorneys. Who are the best DUI attorneys in Johns Creek, Georgia? Should I Look for a Johns Creek DUI Attorney or an Atlanta DUI Lawyer? Do I Even NEED a DUI Lawyer? Hiring a lawyer for DUI is the last thing you can imagine having to consider, but, you have an upcoming criminal court date in Johns Creek Municipal Court, and have had your driver’s license taken from you by the arresting officer and replaced with a yellow sheet of paper. You were issued traffic tickets for DUI and other motor vehicle crimes, and have an arraignment coming up. One other fact: a DUI conviction (in Georgia) is FOREVER. It can NEVER be removed from your criminal history. If you are in a dead-end job, and have no prospects for improvement, then MAYBE you should go to court without a lawyer for DUI charges. All others, keep reading. Why Hire an Attorney in Atlanta Who Is a DUI Specialist? Driving while impaired is one of the most technical and complex areas of criminal defense law. The National College for DUI Defense supervises national testing for DUI defense lawyers who wish to apply for Board Certification. In all of Georgia, there are only 4 Board Certified DUI lawyers, and William C. “Bubba” Head is one of these four Georgia lawyers. Plus, the Georgia attorneys listed for DUI defense in Best Lawyers in America, are (with 3 exceptions) all Atlanta lawyers. Similar numbers follow the Martindale-Hubbell listings and Super Lawyers. The difference between average DUI lawyers, good DUI attorneys and the best DUI lawyers is significant. 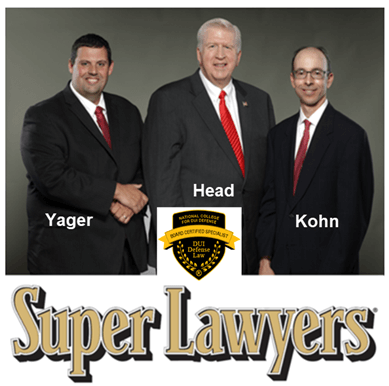 Mr. Head’s two DUI law firm partners (and Mr. Head) are all 2017 Super Lawyers. READ about FAKE CREDENTIALS, and the three recognized, legitimate peer-reviewed attorney ratings services. I Refused to Take a Breath Test, So Now I Face a DUI License Suspension! Virtually all people arrested for a DUI in Georgia have their Georgia driver’s license taken and a temporary permit issued, under the provisions of the Georgia implied consent law. 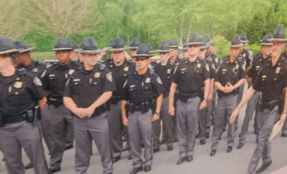 Implied consent law controls administrative license suspension for arrested DUI drivers who refuse to take a breath test that is mandated to be offered, after an arrest for DUI by the arresting officer. The Municipal Court of Johns Creek has no role in the administrative license suspension that is pending against you. Only Georgia DDS and the Office of State Administrative Hearings (OSAH) deal with this aspect of your Johns Creek DUI in Georgia. The penalty for a DUI refusal is a one-year driver license suspension, wherein GA implied consent law will control this happening unless or until an eligible Georgia driver’s license holder EITHER agrees to install an ignition interlock device for 12 full months, to procure a limited permit, OR applies for an administrative license suspension (ALS) appeal and is then scheduled for hearing (through DDS Georgia). Can I Enter a Nolo Contendere Plea to a Johns Creek DUI? A nolo contendere is usually NOT available, and besides it is of virtually NO value to you. The Georgia Legislature took away virtually any benefit of a no contest plea in 1997, and a judge can deny the right to use it, even for accident cases that may need a nolo plea to shield civil damages. One of the best reasons to hire an experienced criminal lawyer for a Johns Creek traffic ticket case, who knows every aspect of how to save your driving privileges, is that he or she will review the positives and negatives of your options to save your license. Georgia DUI laws have a strict, 30-calendar day TIME limit, and either the interlock must have already been installed to be able to apply for the interlock option OR file an appeal and pay the $150 filing fee. Hiring a DUI lawyer for DUI defense, who has impeccable attorney reviews and professional credentials, is time-sensitive. The ALS appeal will later be heard by OSAH (Office of State Administrative Hearings), and this usually is resolved before the criminal case in Johns Creek Municipal Court. Call us now, 24-7, for your FREE initial consultation. 404-567-5515. Shift the stress and the worry off your shoulders, and onto ours. These misdemeanor criminal cases in a municipal court have many pitfalls and very important, long-term implications. The fact that the Johns Creek Court is an entry-level, non-jury court in no way means that a DUI conviction will not be a blot on your criminal record. GA DDS gets every Georgia conviction of traffic ticket offenses, and records them.